We are pleased to announce that our 2018 Champions Forum will be held in New York City, the financial capital of the world, at two very special venues: The New York Stock Exchange and One World Trade Center. We believe that New York City and these special venues will provide a unique backdrop for us to gather together as core stakeholders in Kingdom Advisors. We will discuss and strategize about this growing speciality of biblically wise financial advice. The Forum will provide you the opportunity to fellowship with like-minded peers, receive a stakeholder's report on Kingdom Advisors, provide input on key initiatives at Kingdom Advisors, and be encouraged spiritually and professionally. We also have designed special excursion opportunities for your spouse. We are also thrilled to be hosting optional events before and after the Forum to enrich your time in New York City. The tour of the 9/11 Memorial, and dinner at the world famous Carmine’s followed by the broadway show, Come From Away provide additional opportunities for you to have meaningful time with your spouse and your peers. We look forward to being with you and your spouse in October! An exclusive gathering for Kingdom Advisors Champions designed to maximize your Kingdom Impact through strategic input, fellowship with like-minded peers, and unique opportunities for personal and professional development. 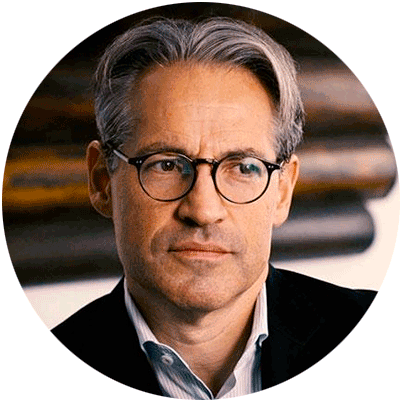 He is the host of the Eric Metaxas Show, a nationally syndicated radio program heard in more than 120 cities around the U.S. Metaxas speaks to thousands around the U.S. and internationally each year. He was the keynote speaker at the 2012 National Prayer Breakst in Washington DC. Along with his colleague John Stonestreet, Metaxas is the voice of BreakPoint, a radio commentary that is broadcast on 1,400 radio outlets with an audience of eight million. John Rinehart is the founder and leader of of Gospel Patrons. He has a M.Div., from Talbot School of Theology, and a BS in Business from Biola University. John is the author of the book, Gospel Patrons: People Whose Generosity Changed The World. Gospel Patrons believes that God uses business leaders to fuel great movements of God. Business people are not second-class in God’s kingdom. They are not less than pastors or missionaries, but gifted differently for the same mission. John is in his sweet spot when he’s speaking, writing, casting vision, and connecting with people. 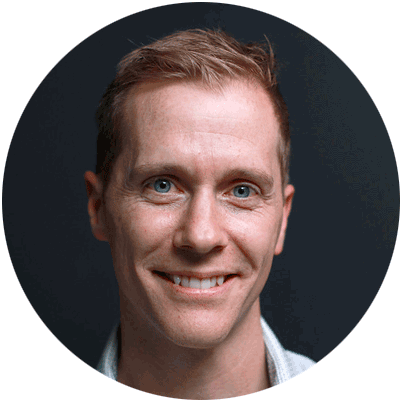 With a background in business and ministry, John is passionate about seeing more and more people love Jesus and live for His glory with everything they are and have. He’s been married to his high school sweetheart Renée for 12 years and the two of them love exploring new countries, meeting new people, and reading old books. They have two cute kids. To learn more about John, visit gospelpatrons.org. 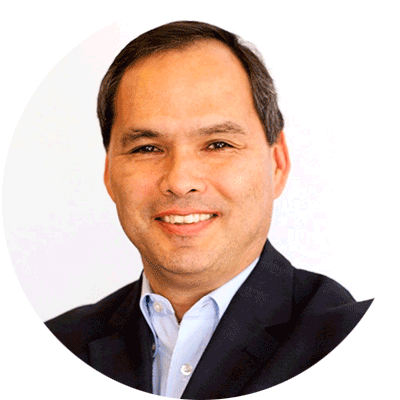 Bill High is the Chief Executive Officer of The Signatry: A Global Christian Foundation. Bill’s personal mission is to change the way people view and practice generosity. Through innovative resources, leadership and writing – he’s helped show generous families how to grow their impact through cash and noncash giving. As part of that mission, he’s working with families to carry on a lasting legacy of true wealth. Bill's recent books include a book co-authored with David Green, CEO and Founder of Hobby Lobby, called Giving It All Away...And Getting It All Back Again: The Way of Living Generously (Zondervan 2017), and a book co-authored with Steve and Jackie Green, This Dangerous Book: How the Bible Has Shaped our World and Why it Still Matters Today (Zondervan 2017). Bill is a highly sought-after conference speaker on topics relating to philanthropy and the transforming power of biblical generosity. He was named one of the Top 25 Philanthropy Speakers in the United States by Philanthropy Media. The NYSE is synonymous with global finance. It’s the world’s most trusted equities exchange, with a market model designed to deliver optimal market quality to large corporations and investors. The NYSE is the only exchange with a unique model which combines state-of-the-art technology with a human being at the point of sale. Condé Nast Venues by Convene is a landmark meeting and event space on the 34th floor of One World Trade Center in the downtown Financial District of New York City. Offering luxury-appointed meeting amenities, this super sleek corporate event venue can accommodate up to 250 seated guests with multiple configurations for cocktail receptions, seated dining, multimedia presentations, and other VIP social functions. All of the eight boardrooms, the dedicated art gallery, and the multipurpose spaces are built to the highest standards, and provide sweeping views of the Hudson River, the Statue of Liberty, and all of lower Manhattan. A growing number of Christians are looking for financial advisors who share their Christian values. Kingdom Advisors is the leading advocate for a new specialty in the financial services industry of financial, legal, and accounting professionals offering competent financial advice that aligns with the values and priorities of Christians. One Year Professional Membership, Strategic Input with KA Leadership, and Exclusive Champion Events and Resources. We have secured a room block for the Forum at the Millennium Hilton Hotel for $299/night plus tax. Please make your reservation at the hotel as soon as possible, as this is a busy hotel and hotel rooms will be difficult to obtain in the Fall. To make reservations by phone, call 800-HILTONS (800-445-8667) and request the negotiated rate for group code: KINGAD.